When I first saw this article on Design *Sponge, I couldn't wait to give it a try! It was really easy and I'm really happy with how it turned out. 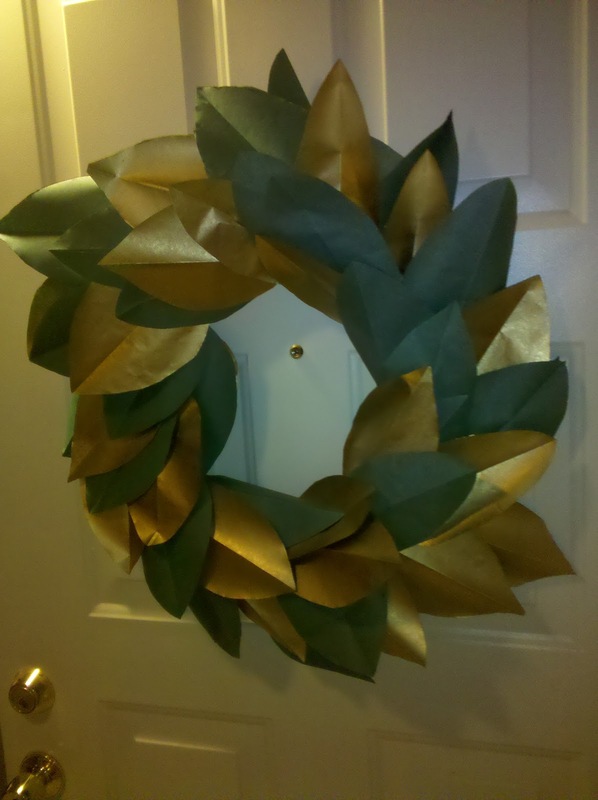 The wreath is the holiday welcoming symbol and what fun it was to make my own this year! The instructions call for use of paper bags, but I didn't have enough, so I just used brown masking paper. Additionally, I happened to already have gold spray paint on hand, so instead of silver, I went with that. Hooray for being a gold digger (literally) for Halloween last year! Also, my leaves are a bit larger than the original, but I think it looks great both ways. Check out some other versions... Meet Me in Philadelphia, First Home Makeover (with feathers!). 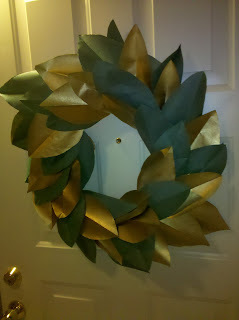 Design Scouting and go figure, Martha (although, hers was a fall wreath)! !